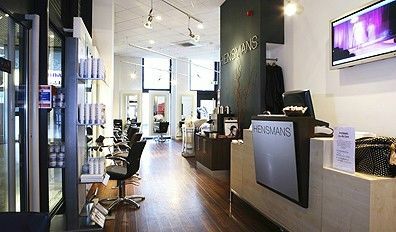 You can book at Hensmans Salons Central Milton Keynes online using our Book Now button located above. Select from a list of services offered, pick your favourite Hensmans Salons staff member and book from the dates available. Between them, they have forged a winning team. They have gained recognition in the industry for their artistic creativity and passion for customer care. The overall ranking and star rating is based on customer reviews received in the last 6 months. All customers that paid for a service at Hensmans Salons were requested to complete an independent review by mylocalsalon (a minimum of 26 reviews are required within the last 6 months to receive a ranking). Carol and Charlie always deliver a beautiful cut and colour. Attention to detail, flair and brilliance. I’ve been coming to hensmans for a while now and I’m always happy with my hair afterwards. I wouldn’t go anywhere else. My highlights always look super blond and last much longer than highlights I’ve had elsewhere. It’s not the cheapest place, but you pay for quality and it’s worth it to have lovely, long lasting colour and a decent cut.